Dr. J here, Tigard Chiropractor and Rehab Specialist in your local Tigard and Beaverton area. The reason I started the post with this introduction is there are many different types of chiropractors in tigard and beaverton, but it can be very difficult to decide on who to choose. You can go off of a chiropractor’s website, which will have favorable reviews and all sorts of good information, but you can never really tell if they are going to be a good fit for your type of personality and treatment philosophy. Some people don’t mind coming in for 2 visits a week of chiropractic care for weeks on end, while others are more DIY and want that quick result fast even though it might require a little effort on their end. This DIY mindset is generally how I tend to look at things in general, as well as my Chiropractor philosophy – if you can put in a little extra work but it saves you time, effort, and money in the long run, then why not do it? Generally what we’re seeing as new Tigard Chiropractors either graduate from school or move into the area is many are trying to remain competitive with the rest of us, so many are trying to go under the heading of a Sports Medicine Chiropractor. 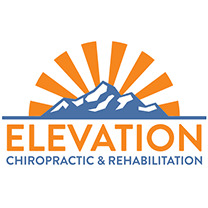 This unfortunately is just a general branding and can have little to do with the type of Chiropractic treatment performed at their Tigard clinics. There is a certification a doctor can get which says they are sports med, but they can still continue using the same type of old-fashioned treatment that Chiropractors used back in the 70’s. You don’t want a Tigard Chiropractor (or Beaverton for that matter) that just brings you in for 2 minutes, pops your joints, then sends you out the door and says come see again for three times a week for the next 3 months.